At Blackcircles.com we work hard to ensure that your experience is the best we can make it. You will be shown all tyres in stock, in your size. 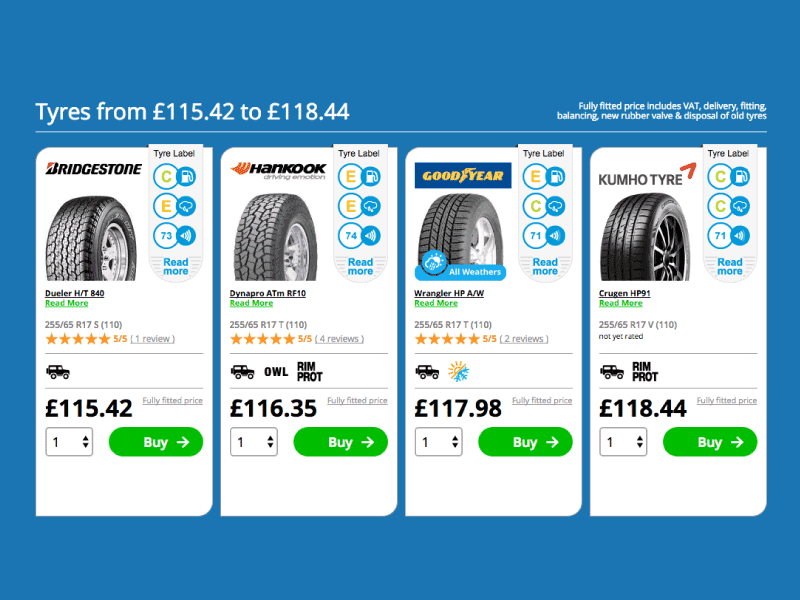 To help you choose each tyre has a page with a product summary, and features reviews from previous customers. 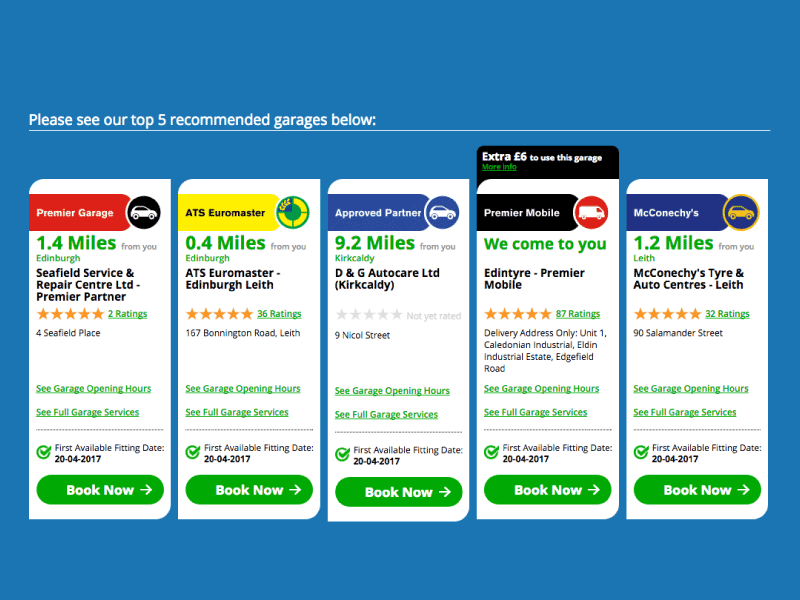 Enter your postcode and book a tyre fitting at a garage close to you. 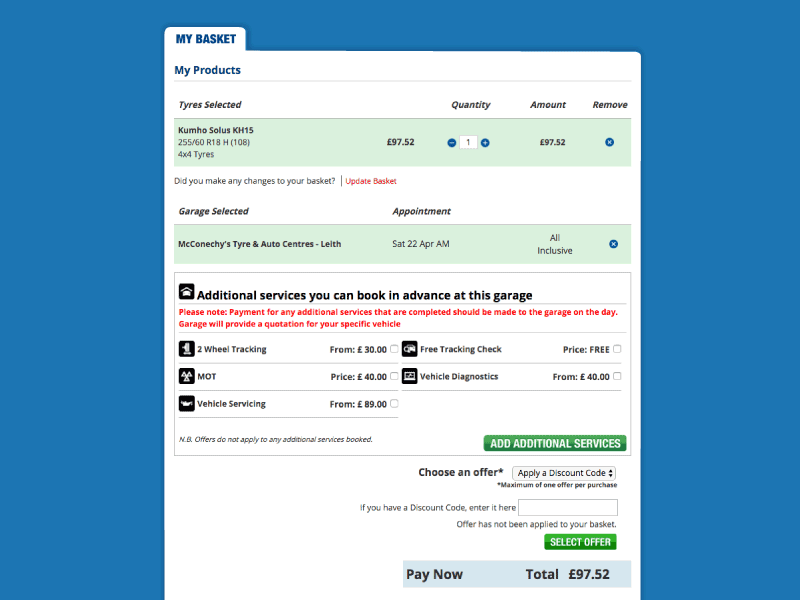 Once the garage and date have been selected, we work hard to ensure that the tyres arrive in time for your appointment. Our basket page gives you a chance to review your order, making any changes if required. If you want to save this as a quote you can do so at this point. 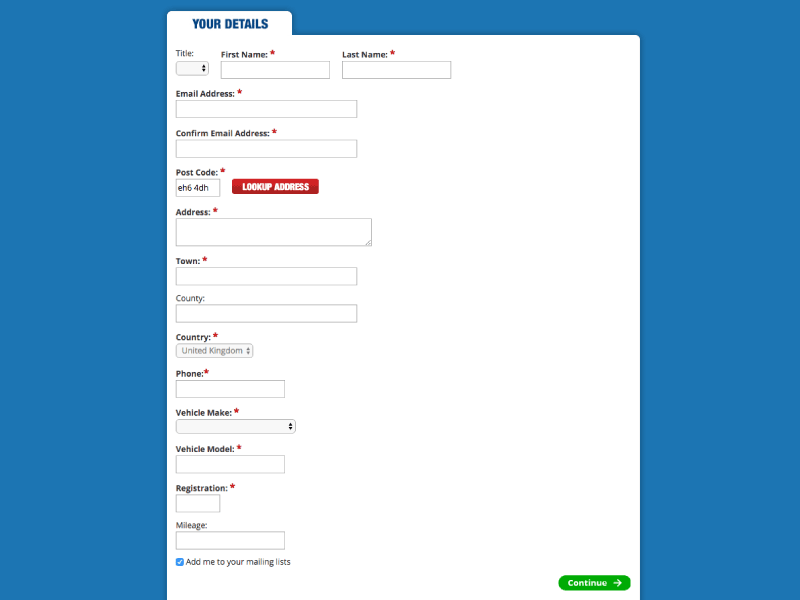 Fill in your personal information to complete the order – including payment details for a credit/debit card, Paypal account or Amazon wallet. 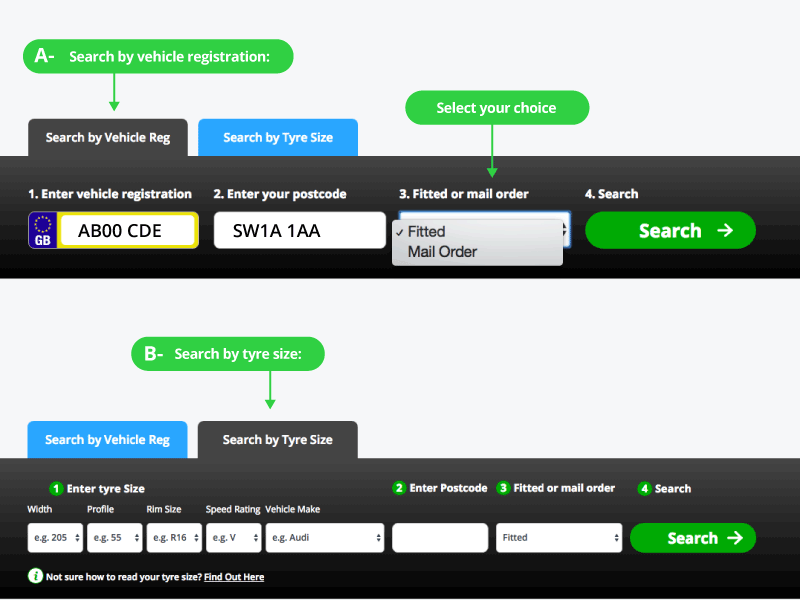 Once your order has been placed we will send a series of emails confirming your tyre fitting, order details and order reference number.